Anna-Marie Babington will lead a restorative yoga class in the soothing natural soundscape of The Undersea Well. Taking place in the Regional Gallery, immersed in Jane Cassidy’s The Undersea Well, there will be an emphasis on deep relaxation. This will be a great opportunity to stretch out, unwind, and immerse oneself in the site-specific meditative environment. A unique opportunity to practice yoga amidst a curated audio-visual art experience. Open to all levels; no prior yoga experience necessary. 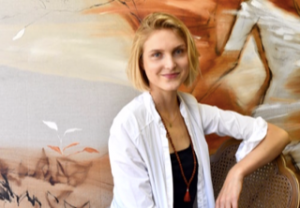 Anna-Marie is a Mobile native, artist, and a Kripalu-certified yoga teacher.